Cash For Christmas: 2016 Giveaway! As I grow into my blog, I’m getting to participate in more and more things! Today I’m participating in a Giveaway! 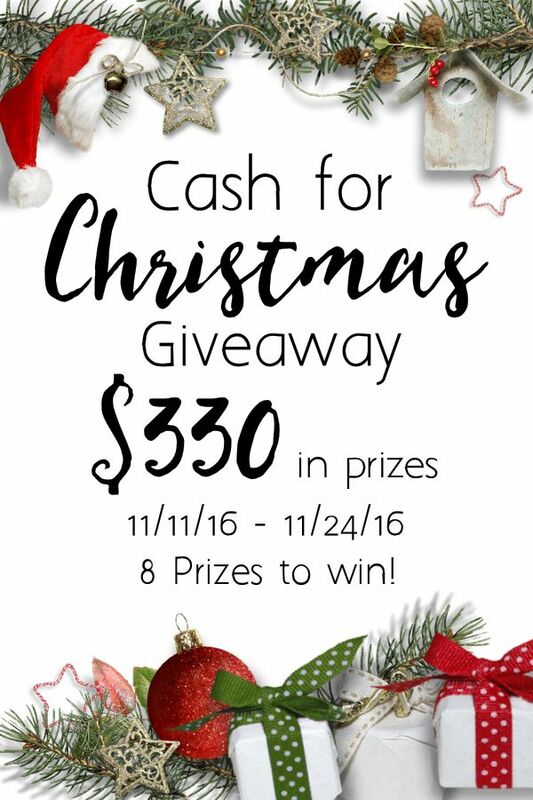 There will be multiple winners for cash prizes. Enter as many times as you would like below! To get that Holiday spirit started, I’ve decided to reminisce a bit. In high school and college I was very into choir and my Christmas Caroling group. One of my fondest memories in choir was performing with my show choir on the stage in Magic Kingdom Disney World. As great as all of my choir memories are, my favorite memory from my school days is caroling. When I was in elementary school, one of my friend’s brothers needed to earn a badge by doing something good for others. His mom suggested caroling and they invited me to go along. We went to a nursing home down the street to carol. This was my first experience with this kind of a performance and it was amazing! Everyone knew all of the words and was able to sing along. The pure joy and happiness I saw on all of the resident’s faces was amazing! I specifically remember one lady in the Alzheimer’s unit who had a baby doll. She had such a blast singing along to her doll. You could tell that she was having one of the best days she had had in a long time. This is when I decided I wanted to carol every year. We continued to carol every year until about mid high school when friendships began to change. I decided that I could not let the magic of caroling be lost because of a lost friendship. I gathered up a large group of friends, planned the event with the nursing home and even had a couple rehearsals prior to the day of caroling. The caroling group changed a lot over the schooling years. My fondest memories of caroling are from my college days. Everyone in my caroling group was a music major except myself. This left me a bit out of the loop but, my business major came in handy with coordinating the events. We performed multiple times at the Zoo, multiple Botanical Gardens, and of course quite a few nursing homes. One of the nursing homes even paid us! Of course, in the spirit of Christmas, we donated the money to Charity. I have a few videos from a set part of our caroling. This was in the dining hall of one of the nursing homes. After the set performance, we were able to walk around and sing with all of the residents. Here’s another one of my favorites. Much more traditional than the Holly and the Ivy. As I’ve grown, I haven’t been able to coordinate a group of singers every year but I’ve done decently. After moving across town and into a new neighborhood, I was able to find some neighbors on Facebook to carol with. This brought back all of my fond memories but just wasn’t the same. Everyone had a million different things on their minds that took away from the overall experience. I am determined though to get back into caroling. It is such a rewarding and enjoyable experience and I can’t wait to share the experience with people who come into my life. I am just not in the christmas mood yet. Hoping after Thanksgiving is over I will catch the spirit. LOVEEE giveaways!! this is awesome… could use it with the holidays coming! Awesome! This is the perfect giveaway for Christmas. Love the carols too. Most of my shopping occurs after Thanksgiving. 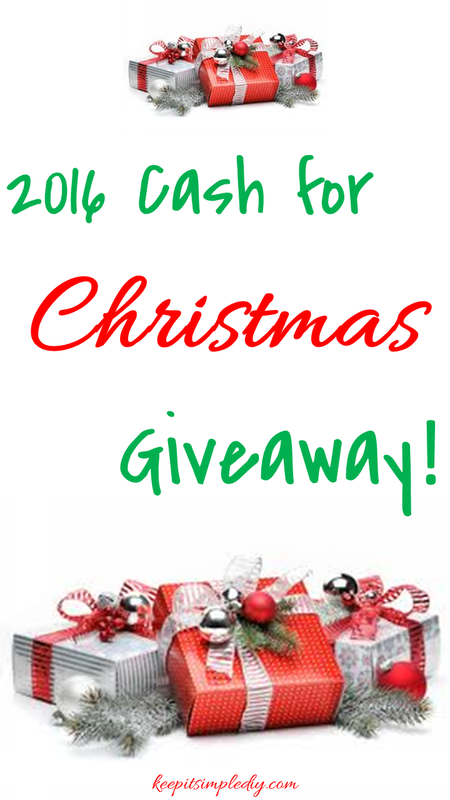 This is such a great giveaway, perfect right before the holidays! Thanks for sharing it! I do all of my Christmas shopping after Thanksgiving!